The Law Office of Steven M. Logan serves Boynton Beach and the surrounding areas of Palm Beach County for your Criminal Defense. Attorney Steven M. Logan has been practicing Criminal law for nearly 30 years including many cases for those arrested in Boynton Beach. Most of the cases, if a misdemeanor, will be in the Delray Beach Courthouse on Atlantic Avenue; otherwise the felony cases will be in the downtown Courthouse in West Palm Beach on Dixie Highway. The Law Office of Steven M. Logan has long-standing ties to South Florida, including Boynton Beach. The Crime rate in Boynton Beach has risen dramatically over the past few years, many of which are violent crimes of Murder and Robbery. Home Invasion Robbery and Burglary are also on the rise in Boynton Beach. To combat these serious crimes in Boynton Beach, the Boynton Beach Police may be suspicious of everyone by implicating those who are innocent by “bad character” association. This is where you will see common criminal charges of “conspiracy” and “accessory after the fact”. 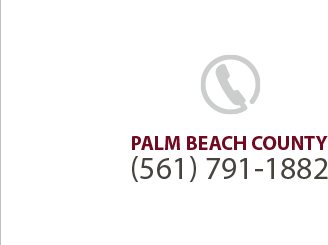 If you are arrested in Boynton Beach it is best to consult with an experienced criminal defense attorney. Whether or not the Boynton Beach Police or the Palm Beach Sheriff’s Office had reasonable suspicion to stop you. Whether or not the Boynton Beach Police or the Palm Beach Sheriff’s Office had probable cause to Search you, Search your car or Search your home. Whether you were given your Miranda Rights before you gave a statement to the police. Whether you were improperly or wrongly identified as a suspect in a crime. The Creditability of the witnesses against you. We will discuss all your Constitutional Rights especially those protected by the 4th, 5th and 6th Amendments. We will discuss the charges, the Florida Punishment Code or Criminal Sentencing Guidelines and any Criminal History you may have to determine what your possible sentence could be. We will discuss whether or not you have a viable Motion to Suppress the evidence against you. We will discuss whether or not you have a viable Motion to Dismiss the charges against you. We will discuss whether or not you qualify for an alternative sentence for Drug Rehabilitation, Pre-Trial Intervention, or Youthful Offender etc. Even though the Constitution places the Burden of Proof on the Prosecution to prove you guilty beyond a reasonable doubt, which basically means you could actually sit back and let the State Attorney’s Office do all the work, this is not a wise decision to make. It is best to take a proactive approach to your Defense with an experienced Criminal Lawyer. Call Boynton Beach Criminal Defense attorney Steven M. Logan at (561) 791-1882 for your free consultation.